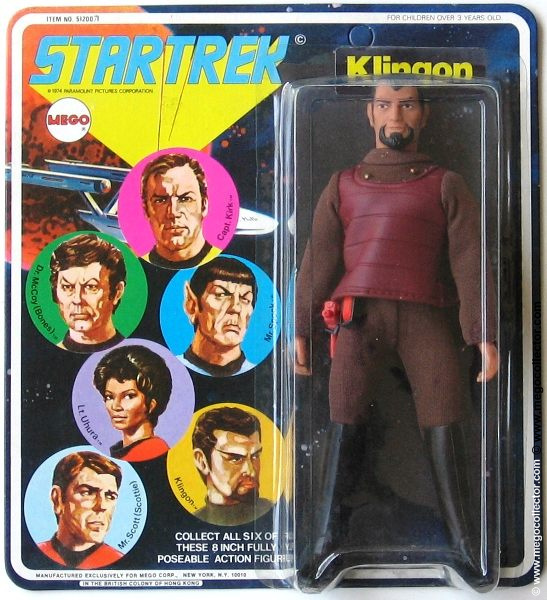 Somewhere in the year 2000, I bought this Mego Star Trek Klingon carded Series II action figure off of eBay. Without enlarging this image, can you see what I saw. If you didn’t, I noticed almost immediately that the word Klingon was much larger and bolder than any I had seen before or since. 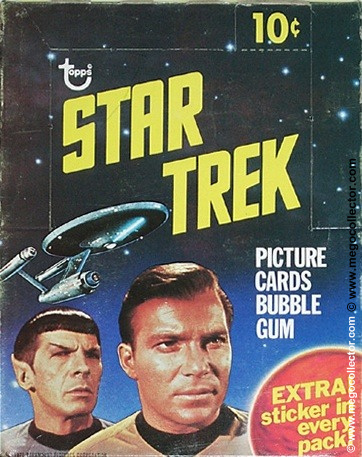 In fact, it is a sticker with Klingon, and it is under the bubble. The card has the number 51200/7 written over the 51200/1. The 51200/1 is the Scottie action figure. Here is a closeup of the sticker and the handwritten card number. I believe that since there are far fewer Scotties to each Klingon, that there was a Klingon overstock. I would even suggest that perhaps this is an interm card to the blank backs. Whatever the case may be, this maybe a one-of-a-kind rarity.